Have you ever wondered how far your beloved cat travels, and where it goes? Well, now’s your chance. 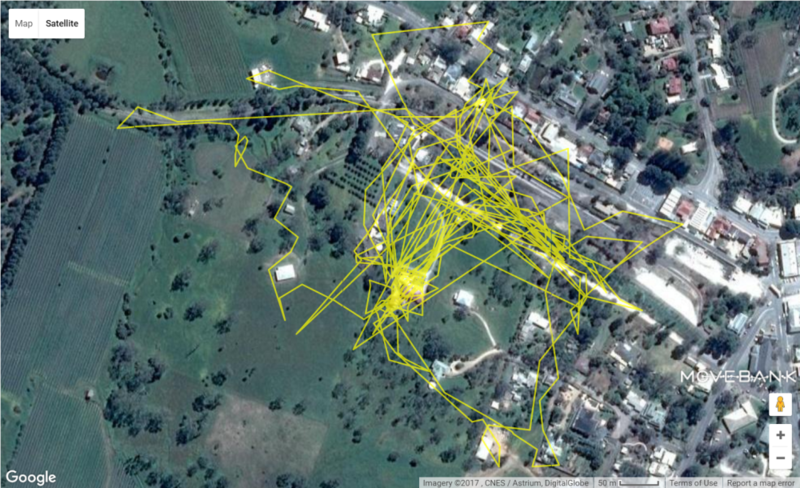 Get involved in ‘Cat Tracker’! 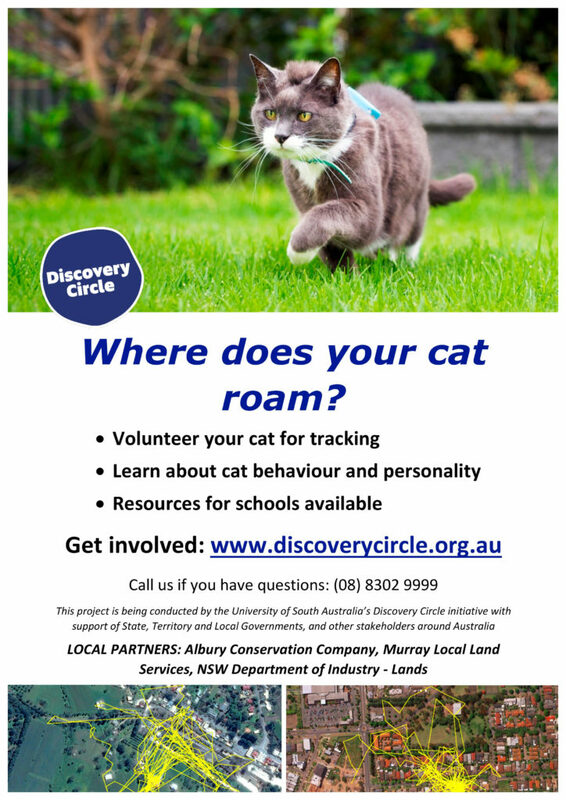 The ‘Cat Tracker‘ program is coming to Albury and Thurgoona as part of a national roll-out of the program in 2018. The program was successfully trialled in South Australia by Discovery Circle and the University of South Australia, and originally started in the US. How does it work? It’s pretty simple really, pet cats are volunteered to wear a GPS collar which tracks their every move over a week. The results are then uploaded to a map as shown below. The GPS collar is posted to the participant, and the program is absolutely FREE. Why would cat owners get involved? The main reason is to find out if your cat’s safety is at risk – for example you may have no idea that your cat regularly crosses a major freeway, or visits the local tip. The safety of pet cats is a well known predictor of their lifespan and veterinary costs. 46 local cat owners have so far completed the on-line survey and most have volunteered their cat. We have room for 80 cats in the program, so now is the time to get involved. Tracking starts on 1st February 2018. If you want to be involved click here and complete the ‘Cat Tracker survey’ now. We wouldn’t want you caught cat-napping and miss out on this unique opportunity! The program is being brought to Albury by a partnership of Albury Conservation Company, Murray Local Land Services, and NSW Department of Industry – Lands.